Design and style your home with these bookcases with storage box inserts. Customise your bookcase and insert drawer colour. 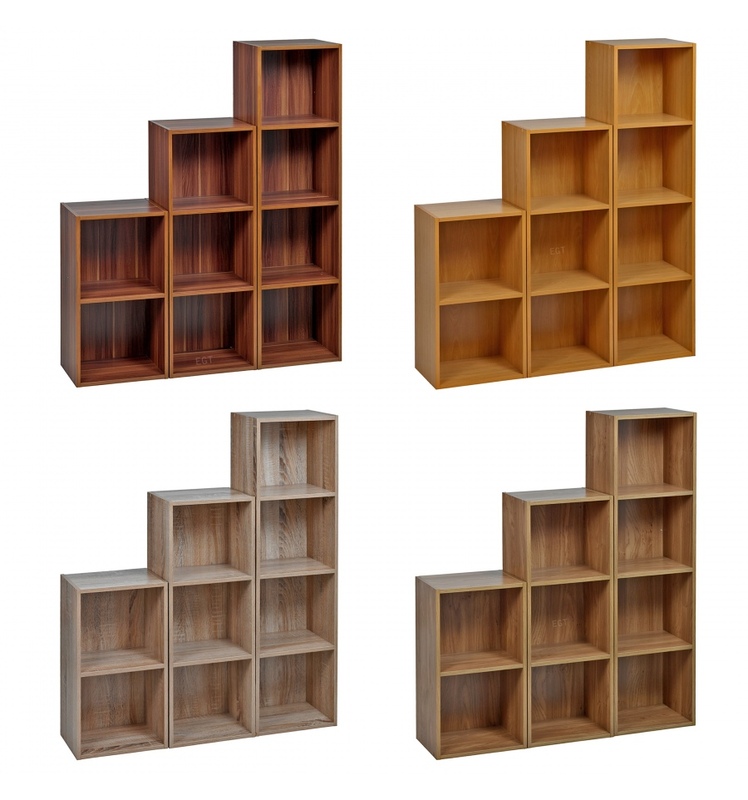 These beautiful Contemporary Bookcases are suitable for the living room, dining room, bedroom, study or office. 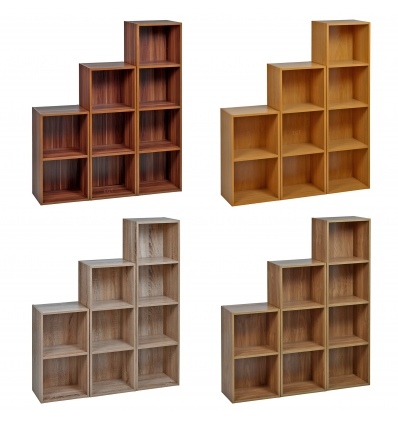 Choose from a cube or up to four shelves, in 7 classic wood effects to create the perfect storage solution. They are made from solid chipwood with a natural wood effect veneer, and will give you a strong & sturdy, stylish Bookcase to last you for years to come.